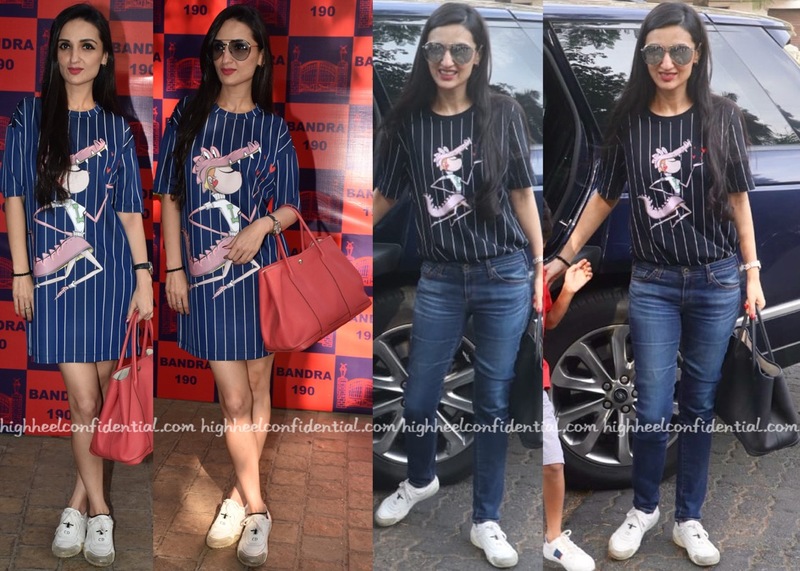 Anu grabbed dinner with friends on Wednesday evening and was spotted wearing a Gucci logo slip dress, one that we also saw on Natasha while the latter attended the label’s show in Paris last year. Prefer either’s styling or neither’s? 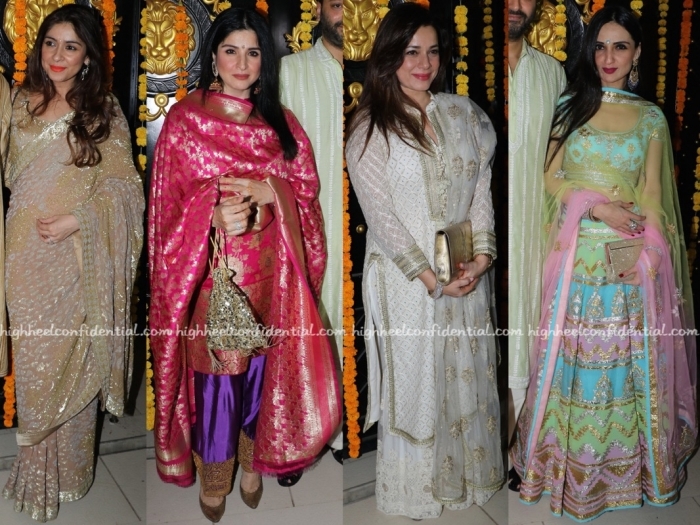 Wearing their festive best, these ladies attended Ekta Kapoor’s Diwali do. From a heavy silk suit to candy-colored Abu Jani Sandeep Khosla lehenga, which look caught your eye? Latest clothing label launch had these lovely ladies in attendance, all dressed in black, head-to-toe. Was there one particular look that you gravitated to the most? 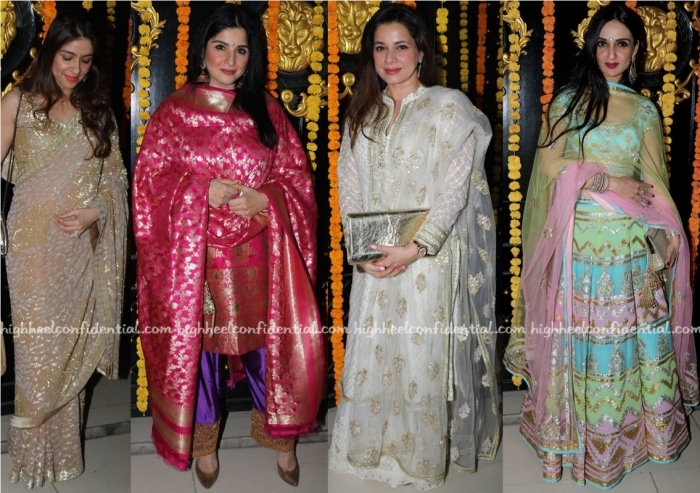 Sophie, Anu and Pooja served up some color at Mr. Malhotra’s sorée in Mumbai. While Sophie teamed her floral Self-Portrait dress with black accessories that included a Valentino bag, Anu paired her Missoni fringe dress with a Louis Vuitton clutch and her trusty black pumps. As for Pooja, she teamed her sparkly lilac dress with sparkly accessories. Wasn’t a fan of Pooja’s look. The dress seemed dated and her choice of accessories only made it worse. Anu looked nice but that fun dress begged for some fun accessories… The pumps and clutch were such a snooze. Of the three, will have to give this round to Sophie! P.S: Shop the Self-Portrait dress here.